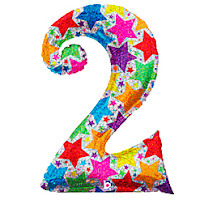 The people who were born on 2,11,20,29 their birth number is '2'. Their owner planet is the moon and the moon has been considered swift. These people are very imaginative, emotional, generous, simple-minded, and very creative. Generally these people aren't physically powerful. They are little bit in-confident, consequently they fail to take a decision immediately. Their interest to beauty is very sophisticated. They can be called Titans in love and beauty. They are so proficient to hypnotize other. To make a unfamiliar person their friend is a very easy task to them. Despite of having suspicious nature they care about others. They never say anything directly to anyone. They are very proficient in reading other's mind. When it comes to the education, they acquire good education. Having great vision they have been seen doing better in their life but due to fear, superstitions and volatile temper some interruption in their studies have been observed. As a result of this they have to leave their study and have been noticed dissatisfied. As per numerology of birth number 2, if we tall about their financial condition, generally they have a habit of saving money. Therefore; their financial condition is always good. They are expert in earning. The people whose number is 1,2,4 and 7 are really good friends of them. When it comes to love and marriages, they haven't seen successful in it. Their love relations are not lasting. Usually these individual get betrayal but their martial life is full of happiness. They have more baby girls than baby boys but they love their children so do their children. They are good businessman. Work associated with milk, water, fluid or medicines, canal department, education department, bank and healthcare can give them big benefit. They have been seen doing good in music, singing, writing etc. Regarding their health, their vitality is weak that's why they have illusion of illness. They can have stomach problems, blood disorders, chest and lungs problem and mental depression may harm them. The dates of 1,2,4 and 7 and sunday, monday, friday are auspicious for them. In term of colour, white or green colour is favorable for them.